This week, Dietrich Kalteis and I have added a touch of class to our weekly Off The Cuff free-style discussion. 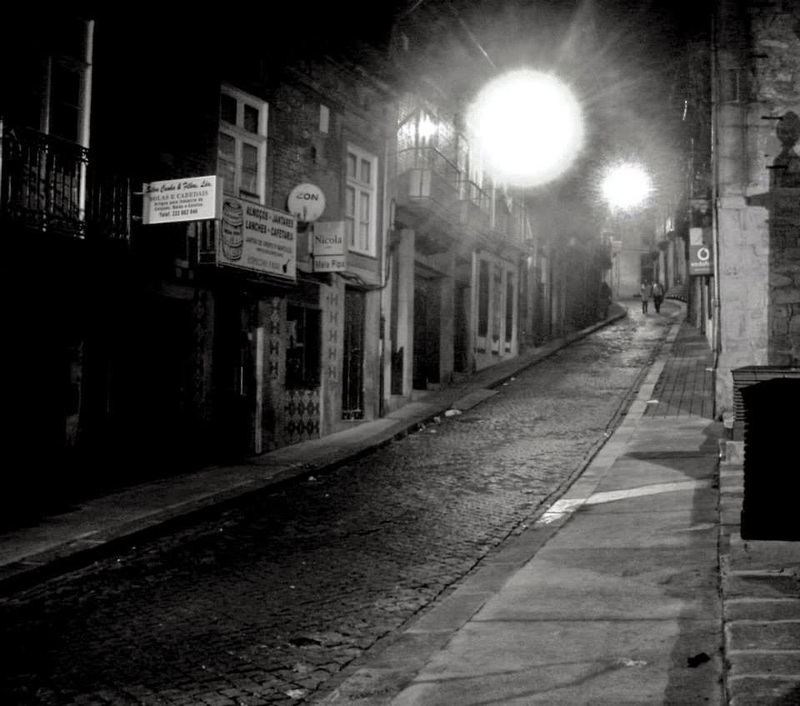 Writer, blogger and editor at Detectives without Borders, Peter Rozovsky, has been kind enough to allow us the use of his noirish photos, just to dress the page up a bit. Thank you, Peter. You’ve not only got a way with words, you’ve also got an eye. So here we go, Martin J Frankson and I are back for week three. Who Killed the Dead Guy? What makes a good title for a crime novel. MF: Personally, I think Who Killed the Dead Guy would be a great title for a crime satire, but seriously, I would like to discuss what makes a good or bad title, and how writers arrive at their titles. DK: Okay. My titles haven’t come the same way, but I know when one has the right ring for me. Ride the Lightning came from an expression used when someone gets shot with a Taser, as in they rode the lightning, something I found out while I was doing research for the story. I liked the phrase, it stayed with me, and it just fit the story. And as the story progressed I never had any second thoughts about it. It just always worked. And down the road, my publisher and editor agreed. So, for me, I have to live with the title for a while to make sure it really works. If I’m not 100% about it, then I need to come up with something better. MF: I didn’t know that Ride the Lightning was a euphimism for tasering. That’s interesting and its a title in keeping with the story itself in terms of the pace and vicissitudes of Karl the main character. Right now, I’m looking at my shelf of crime novels that span the 1930’s to the present day, and while there have been changes in the style of titles, there doesn’t seem to be a general rule for what makes a good title, and that’s a good thing. I think the writer just has to avoid a bad title to come up with a good one. It’s much easier to think of a bad or corny title than it is to consciously invent a good one. DK: For sure, it’s crucial that the title works, boiled down to a couple of words, the right couple of words that will make it stand out. And it’s got to suit the story as well as help market the book. A lot of weight on a couple of words. But, of course, what appeals to one person may not appeal to another. Like everyone, I have favourites that just rock, many of which have stood the test of time: One flew over the Cuckoo’s Nest, A Clockwork Orange, Fear and Loathing in Las Vegas, Midnight Cowboy, Get Shorty, Burning in water, drowning in flames, Cat on a hot tin roof (okay, this one started out as a play, then later became a film), To kill a Mockingbird, Valley of the Dolls, the Electric Kool-Aid Acid Test. I could go on for days, but these just grab me. There are many more that I think are great, and everbody will have their own favourites. But, when one grabs me, I have to pick up the book and start reading. MF: A meaningful original title that grabs attention is the best kind especially in such a crowded market. I have noticed the proliferation of title patterns, not just in literature, but in film, too. One example is the present-continuous verb plus a person’s name e.g. Kissing Amy etc. Sure, the initial examples of such titles were fresh and imaginative such as Divorcing Jack by Colin Bateman, but the style was copied too often by many books/movies, thereafter making them indistinguishable from one another. If I think a title is corny or follows such a heavily trodden path, it makes me wonder just how original the book behind the cover actually is. DK: Right, and will likely keep you from picking a particular book off the store shelf, or wanting to see a film, like a sequel that’s got the same title, with a number tacked on. MF: Right. Another one that comes to mind is The [an occupation’s] Daughter. There are so many titles that follow this pattern. Strangely, there are far fewer with the word ‘Son’. Perhaps we see daughters as more enigmatic that sons in our culture, I don’t know, but it’s interesting to point out. You only have to look on Amazon to see such patterns. Many of them may be good books, but the titles do seem a tad similar which is a shame. Titles with the word ‘Fear’ and ‘Diary’ have become too common a coin too, unfortunately devaluing the currency of those fine words, and this is something the writer has to bear in mind. Think of a title and find out if it’s been used already, or if the words in the title form part of the titles for dozens or even hundreds of other books. If it does, you should think of changing the title. MF : There is a long and valid tradition of sharing titles amongst movies, books and album titles and even bands. All About Eve is known as a movie but also was the name of a quite successful English rock band in the 80s whose name was inspired by the imagery of the movie. Heavy Metal and its various sub-genres may be a rich seam of titles to mine for crime novels and perhaps even horror, eg The Dead Shall Inherit, Graves of the Archangels, Effigy of the Forgotten. I could go on, and I note that the best titles are amongst bands from Scandanavia. In crime literature, perhaps titles with words that are not associated with the genre could be what’s coming next as long as they aren’t contrived. I guess its just knowing what works and what doesn’t and having a good ear for it. We can’t put a finger on what works except for the feeling. Its funny about Emily’s book though, sharing the title Joyland with Mr King. I’m glad he saw the funny side of it.